Last July, there was a sudden water logging in Maratha Colony, SV colony, Cariappa Colony, Nanawadi, Shivaji Colony, Shastri Nagar, which was very sudden in the wee hours of the morning where in no one was able to take out their belongings. Then Executive Engineer South Laxmi Nippanikar and others worked hard to find out the crux of the water and it was a pond near the Desai farms. Then the storm water drains werent cleaned and one major area where the civic authorities had failed was cleaning up the drain which goes underneath the Railway over bridge. The same this time is being cleaned and the debris is being removed after seeking permission from the Railways and Cantonment officials. The Storm water drain from Maj Ramaswamy avenue which goes under the RoB is been cleaned and desilted and the debris will be lifted from there for the first time. we are not taking any chances this time and hence 2-3 months ahead of the monsoons we plan to create a water way which due to which there will no water logging as it happened last year. 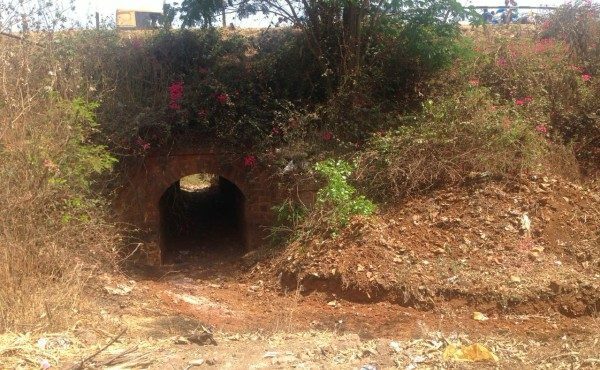 We sought permission from the Railways and the Cantonment and we have now cleaned the drain which leads the water to the outlet below the bridge. We have also built the storm water drain in Shivaji Garden last year which was also a part of this project. In June again we will try and remove the silt if any from the above drains which will ensure free flow of water and no water logging. more than 10 years back, till now no action or any efforts made to rectify this, all verbal requests to BUDHA were no effect & may be under your active leadership such collapsed road side constructions will be fixed in time. THERE MUST BE OPEN REGISTER FOR CITIZENS OF BELGAUM WITH DATE OF DEFECT REPORTED AND ACTION BY THE CONCERNED AUTHORITY, THERE MUST MUST BE SENSE RESPONSIBILITY OF EACH DEPT OFFICERS AND SERVE THE CITIZENS OF BELGAUM EFFICIENTLY, THEN ONLY IT CAN BE A SMART CITY SOON. What about encroachment by Bella Vista? Why no action ? Are they above law ?